We would never not condone a Céline shopping spree, but sometimes a gal's gotta get resourceful in order to spring into a season. So you can't buy everything on your Gucci wishlist, no problem. We've noticed a few instant updates that bring all the joy of newness without the sadness of baked beans on toast for the entirety of the next month/year depending on what exactly you are planning, big spender. We've said it once and we'll say it again, this little hat is having a very BIG moment. More common on the streets of fashion week than iPhones, it's now filtering into every stylish post-code as the norm—except for France, where the girls wouldn't be caught dead in one. The inclement weather has prompted one part of our wardrobes to really step up a notch: Hosiery is now more than a bog-standard pair of black opaques, it's a bona fide field trip for experimental stylists. You can opt for patterned tights under your regular attire or just hint to the trend via a snazzy pop sock peeking out from under a cropped trouser. Studs, eyelets and ring-pulls have been smattered across everything in the design world—from leather jackets to ankle boots. It's like punk, only more chic and restrained. Elegant clip on earrings are one of the easiest routes into this season's nana-chic trend, so get acquainted early and look out for classic, vintage-style designs. 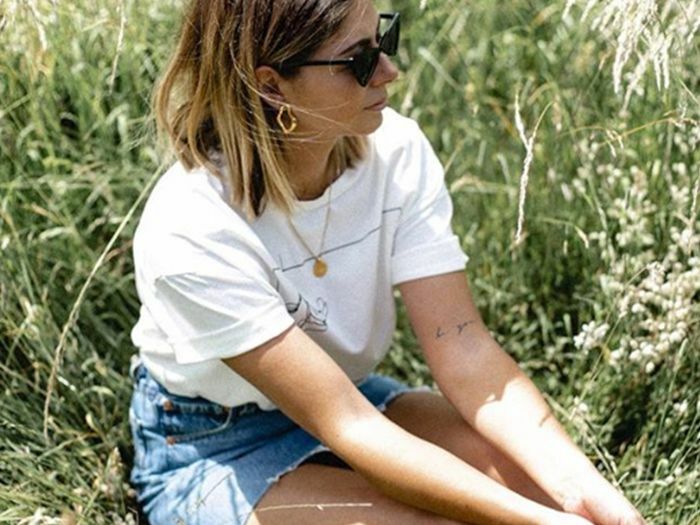 We're not talking about any logo tees here but those featuring the most ironic, most basic motifs. Think of Vetements and their popular (but pricey) DHL crew-neck or the faded Coca-Cola one Miroslava Duma recently wore. Where this trend began we're not sure. Was it the Chloé Faye bag? 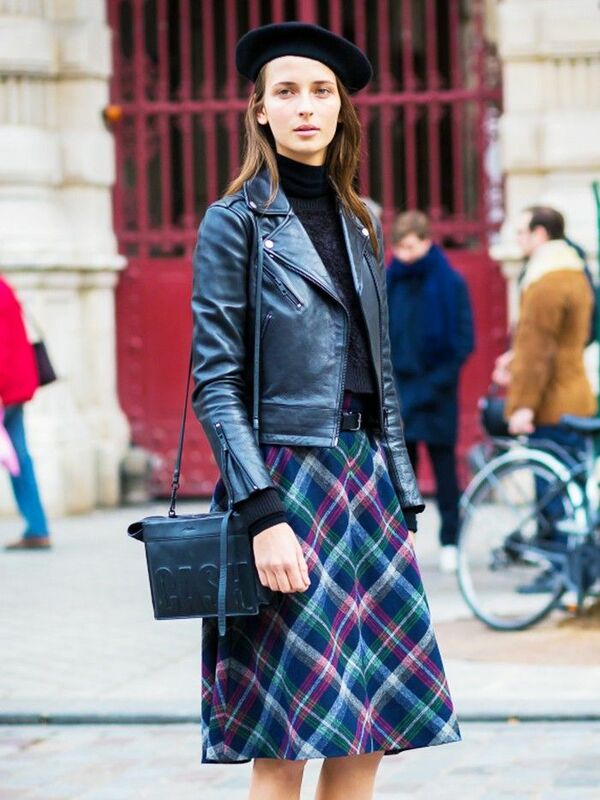 The Row's super-shoppers? How about that Aussie brand taking over the blogosphere? Either way, if your arm candy features a circular metal handle, it is guaranteed to look of-the-moment. The fishnet trend extends from basic grocery-style shopping bags through to full mesh dresses to be employed for duty come holiday-time. We'll stick with the bags for now, and while many come in with a hefty price tag, there's one very cool way around this look… Buy an original grocery bag! The bandana is the gift that keeps on giving: Wear it jauntily knotted to the side of your neck, wrapped around your wrist, tied into a bun or looped around the handles of a posh bag. Or—wait for it—you could wear it as an actual bandana when festival season kicks in. If you thought corsages were left in the history books of bad wedding outfits past, think again. They're back and looking rather lively thanks to Gucci. Opt for a bold colour; this trend is not for wallflowers. First up, you probably own a bra already, right? So this is just a matter of rearranging things a bit. Or, you could invest in a bralette style with a tad more coverage to be on the safe side. Most demure when worn over a roll neck.